Nothing is faltu or waste in India,everything considered waste elsewhere hold it's value in this part of the world. In other words we can say that we know how to make waste useful. We are actually resourceful (Jugadu as called in desi language) thus utilise everything to it's full extent, take for example a school uniform,i elder brother or sister's uniform is preserved for the younger sibling if it's doesn't fit to the elder one. There are many things like that old clothes are exchanged for utensils which are again used to make pillow covers,foot mattresses and many other things,even cow dung is used as fuel in our country. 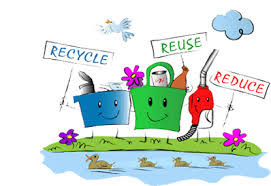 Those who consider us backward must see how we use waste products like old clothes,shoes,broken glass,plastic bottles,old newspapers,old wooden doors and windows,etc.productively. This habit also have a drawback,it is true that less waste is generated in reusing,reducing and again using old things which put less burden on our natural resources and environment but this make us greedy and selfish also,we kept old clothes with us to be exchanged with utensils which can be given to someone who don't have clothes,instead of selling old school or college books back to the book seller at half rates we can give them to poor students who can't afford such books easily,people keep extra chapatis to sell them to dry chapati vendor instead of feeding a hungry person. Our habit of liking waste products also make us to accept anything useless like our MP's and MLA's again and again,we keep refresh old issues don't let them die and thus misuse by politicians,we are still governed by old laws of eighteenth century repacked with some modifications,people with useless ideologies bring forth there views every time in new ways and we accept them. 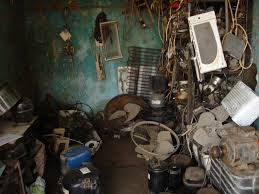 It is said that a good scrap dealer(kabadi in hindustani) can find usefulness of a waste thing,so keep an eye of a scrap dealer to judge waste things but an human heart to utilise them well. Yea, though our politicians have long become scraps, we never throw them in the garbage bin.We, rather, allow ourselves to be used by them especially during elections.